i been working on a flood of repairs for the past month plus. all of a sudden. five revoxes. from three clients. one is a really cool dairy farmer who runs 1/4 inch tapes thru a quad 303 sound system system .. to his cows! now ive heard everything. maybe it makes the milk better.. Ian says they love the good sound. 2 beaut G36. the all tube ones. lovely. and so smooth and so wobble free after a good complete inside out clean. they both had transport functional problems. around the motor switches are very inductive loaded circuits which cause hi voltage spikes across the switch contacts. to prevent this reality from causing damage to the switches – big caps with series resistors are wired there. to soak up the spark and discharge the energy slowly. these little SPARK SUCKERS get hot. and leak direct current and then get hotter and short out and burn smoke /smell terrible. blowing a fuse. they are not easy to replace. awkward. youve pretty much got to take the whole therm o nuclear reactor apart to get behind those particular go switches. there were so many other small operational issues so it was just a case of making it from one to the next and slowly getting to the point where everything is working just as good as it can or was meant to. next on the couch was a shiney revox PR99 with logic control issues. 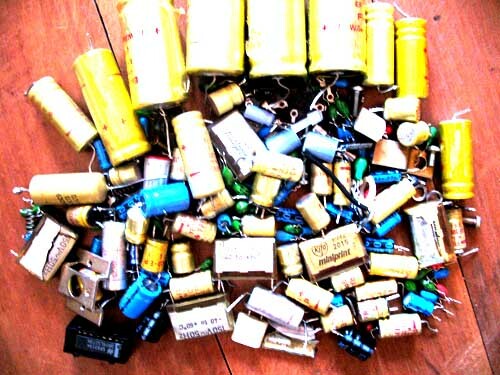 a dozen or so tantalum capacitors to change out. holy exploding chassis tho. man. what a hell of thing to take apart. 27 circuit boards all cross wired to the others mounted in 17 different directions. some of them are connected at right angles into a mother board that has un-get-at-able components, links, and switches connected to,and worked directly onto . how did they even do that? it must have been so hard to make them this way. 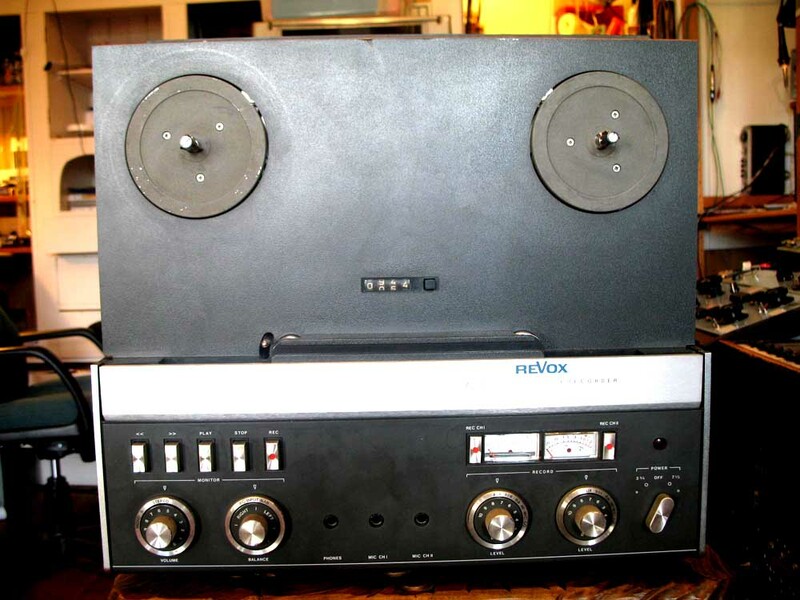 next in line was a 2 of revox B77. and one of A77. they all required a heap of careful cleaning. and completely swapping out the whole compliment of electrolytic s and tantalum s. shame is that only about 1/3 of them are actually friked . but theres no way of telling that without taking them out. and once they are out … then why would would put the old ones back in. so change them all and it does work out that about 1/3 of them show leaky faults. tell u what .. the overall difference in the sound is definitely worth every penny and if the heads are reasonable the recordings are great. the A77 is my preference to B77. 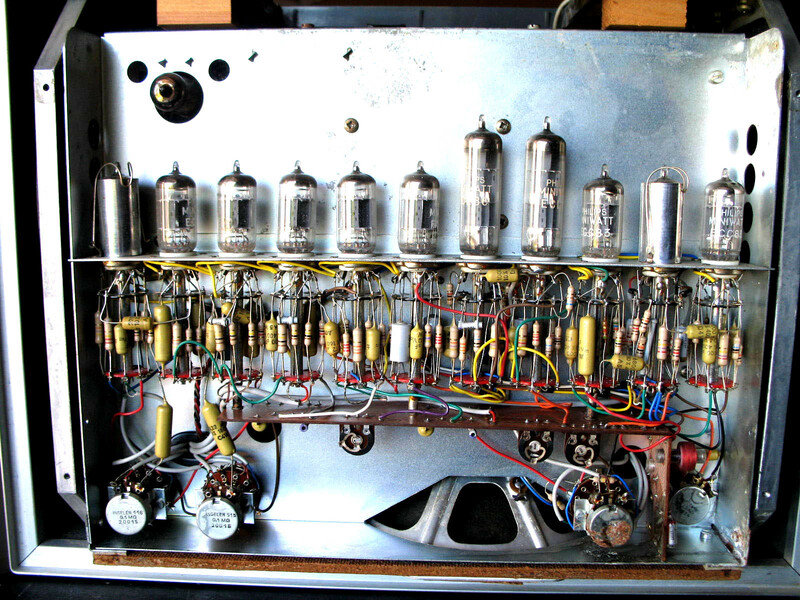 the A77 first transistorised machine by revox maybe. but ALL transistor. no chips and definitely the cleanest quietest most brightness blasting sounding electronics. but the G36 has even more fantastic audio sound of course. 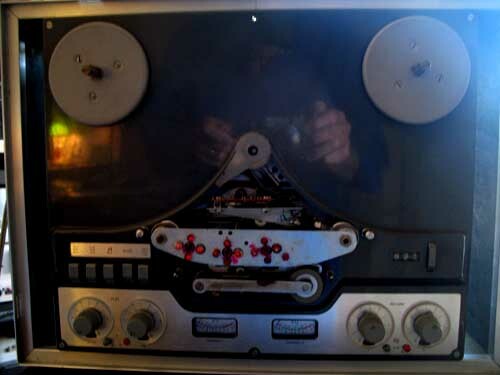 i just love valve tape recorders. 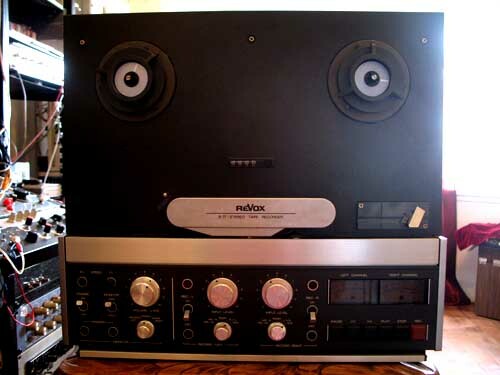 apart from lp records and needles of course, and of course ‘being there’ – valve tape recorders are the most analog u can have. the playback signal is completely one new thing . completely fresh extolled up from only nanowebbers of magnetism stored in analog representational waves of aligned-up microscopic iron magnets. and made to line level thru vacummed gaps of space – voltage – and time. dont get me started. anyway the revoxes are foxes. great machines and can be made to go surprisingly well. i recommend to NOT replay any old tapes more than the ONCE.. it takes to make a copy of said tape. 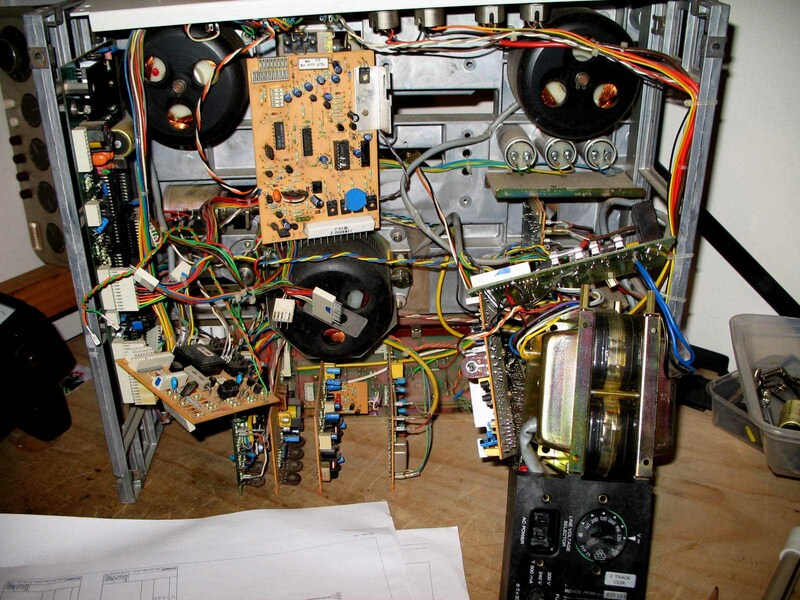 the amount of shed from ageing tapes will only ever increase and dirty up the ol tape path. time to stock up on new tape stock and more revoxes to re- record all those old radio broadcasts and live to air concerts.